In 2000 the Organic Centre planted what has now become a beautiful, productive orchard of 80 different varieties of apples, pears, damson and plums – all suited to the challenging climate and conditions of the NW of Ireland! Looking forward to the next 20 years, we would love to work with you to extend this orchard by a further 30 trees and we need your help to achieve this! By supporting the Orchard 2030 project you will be investing in the long term sustainability of the charity and providing a living legacy for the next generation of students, visitors and learners who come to the Organic Centre. 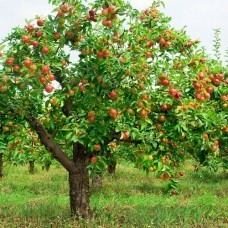 By supporting the Orchard 2030 project you will be investing in the long term sustainability of th..